International Airport’s cargo terminal, there is a compelling reason for the disclosure of health report of workers who were exposed while handling the consignment. The occupational health status of these workers is relevant because it will be a definite indicator of the reasons for their ill health. The core issue which merit attention is whether Prior Informed Consent procedure was followed in the transport of the consignment from Turkey. 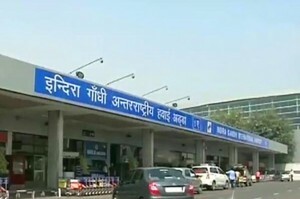 This is required to ensure that such incidents are not repeated and accountability for acts of omission and commission is fixed and a stringent Prior Informed Consent procedure is put in place after conducting vulnerability mapping of all the air ports, ports and border posts of the country. India is a signatory of ILO’s Radiation Protection Convention, 1960 concerning the protection of workers against Ionising Radiations but it does not apply to radioactive substances, whether sealed or unsealed, nor to apparatus generating ionising radiations which substances or apparatus, owing to the limited doses of ionising radiations which can be received from them, are exempted from its provisions. Its effects depending on dosage includes temporary sterility and permanent sterility of testicles, sterility of ovaries, impaired vision (cataracts) and depression of haemopoiesis in bone marrow. It can also result in acute irradiation syndrome, characterized by digestive disorders like nausea, vomiting and diarrhea. It is an admitted fact that personnel handling radioactive sources deployed in medical and scientific fields may be exposed through skin and wound contamination or inhalation or ingestion of radioactive materials. The exposures can happen from external irradiation, inhalation, skin contamination from the radioactive vapours and dusts. The health effects of ionizing radiation depend on the dose level received and the dose rate. When the dose exceeds a given threshold and the dose rate is high. Notably, severity of the effects is proportional to the dose but it is dependent also on the dose threshold for specific organ. The question as whether there is indeed a threshold dose (i.e., a dose below which there is no effect) is yet to be satisfactorily answered. The damage to genetic material (DNA) caused by spontaneous errors or environmental factors are constantly repaired but this repair is not always effective, and is likely to result in malignant transformation of cells as per literature of International Labour Organization (ILO) Encyclopedia of Occupational Health and Safety. The exposure to ionizing radiation can happen both to occupationally exposed persons and the general public. UN Scientific Committee on the Effects of Atomic Radiation had estimated that there are millions of workers are occupationally exposed to ionizing radiation. India must identify must identify the workers who are exposed in the country. India must have a country wide registry of radiation accidents. Any accident that results in exposure exceeding 0.25 Sievert (Sv), or skin exposures exceeding 6 Sv or exposure of other tissues and organs exceeding 0.75 Sv must be included in this registry. The accidents that have resulted in lower exposures must also included for maintaining the record of exposed persons whose state of health over short and longer period can be ascertained empirically for verification of efficacy of threshold limit in terms of consequences of exposure. The registry must provide data on frequency of radiation accidents and the number of exposed individuals. There is need for epidemiological studies on effects of low-dose irradiation (below 0.2 Sv) and low dose rates. There is a need for maintenance of a comprehensive life-cycle inventory of radioactive sources which includes information on both the sources’ nature and location. The health records of workers and general public who handle such sources or substances or in their proximity should be put in a form standardised at the national level. The safety guidelines and recommendations for the use of radioactive sources in industry, medicine and research should be disclosed and rigorously implemented.